Contrary to popular belief, massage is not just a luxury for spoiled people. It is more than a pampering and relaxing indulgence; massage therapy is a powerful tool for healing, wellness, and happiness. Additionally, it’s accessible right here in Provo, Utah! 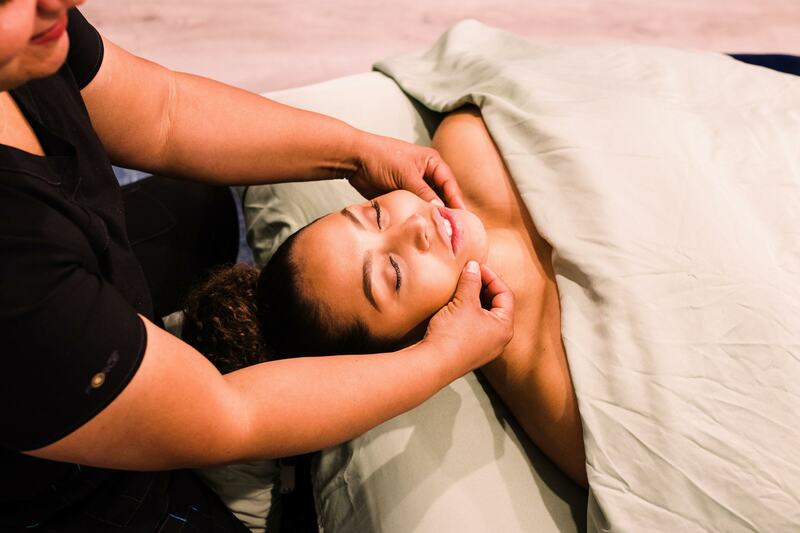 At Hands Massage: Natural Healing Therapy in Provo, our certified massage therapists are trained and accredited in various forms of massage therapy. We are devoted to our patients’ health, helping them improve their physical, mental and emotional health, improving the feeling of their body, and promoting their overall wellness. Improve your posture — In developed countries, it is a frequent problem to experience back and neck pain. Back pain is frequently caused by poor posture when sitting or standing. Additionally, being overweight or working with repetitive movements is a surefire way to exacerbate the problem, causing your back to spasm. In extreme cases, this may cause you to miss work.Our Provo massage therapists can help mitigate this problem when you come visit. Massage relaxes the body, loosening chronically tight muscles and allowing your spine to settle back into its natural position. Additionally, massage can loosen other joints around your body, allowing for improved flexibility and range of motion. There is no sense of freedom quite like that of escaping back and neck pain.Because back and neck pain accounts for 60% of the reason employees take sick leave, we are very serious about treating — and preventing — this problem before it affects your life. Improve your circulation — The body is designed to take care of itself; a vital tool for your body’s healing abilities is your blood. Your body uses blood to transport oxygen and nutrients to the hard and soft tissues of your body. This provides warmth, and gives fuel for use and regeneration. Simply put, healthy circulation is important for the proper function of every part of your body, and plays a vital role in recovery from injuries. Massage promotes circulation by stimulating muscles and activating the capillaries in your body. This invites blood-flow in tense or injured areas, and prepares your body for future use to prevent overuse or injury. This concept is important for athletes and non-athletes alike. Let your body take control of itself again with sports massage in Provo. Lower your blood pressure — Simply put, studies have shown that regular massage therapy reduces systolic and diastolic blood pressure. High blood pressure is associated with serious heart conditions, and is a leading factor of mortality in the United States. Problems with your blood pressure are not an issue you want to worry about. Perhaps if you’re looking for a way to improve your health, massage therapy is the perfect place to start.Treat the underlying causes of stress and anxiety — There are several things that cause stress and anxiety, but two key factors are poor sleep and high levels of cortisol (a naturally occurring hormone in the human body). Stress and cortisol make you less able to fight off sickness, and they cause the constant feeling of anxiety experienced by some people. Over the long-term, this phenomenon can also have effects that correlate with weight gain, hormone problems, and other more severe health complications. Massage therapy has been proven to reduce cortisol levels in the body, thus naturally reducing stress like few other treatments can. Massage therapy also improves your posture and loosens tight muscles. The reduction in cortisol and improvement in muscle structure improves your sleep, which benefits your immune system while making you a happier person overall. Massage your hips, thighs, buttocks and abdomen in order to eliminate cellulite and improve your muscle and skin tone. This enhances your body’s aesthetics, and it also typically improves your posture. Massage your back, upper abdomen, arms and neck to sculpt your muscle, fat and skin structure. You can tone difficult areas like the backs of your arms while improving your posture and flexibility. Address your head and face by using natural techniques to improve skin tone and reduce wrinkles. Lypossage is like receiving a facelift without the harmful and unnatural use of lasers, chemicals and plastic surgery. It’s time to address the elephant in the room: massage therapy feels incredibly good. Is it any wonder that a good massage is associated with star-crossed newlyweds basking in their love, or ritzy millionaires living it up in the Bahamas? However, there’s one thing that the movies will never tell you: a couples massage does not have to break the bank, nor does it have to wait until everything is “just right” in your relationship. In fact, it could make everything perfect in your relationship! Mix things up; live a little; surprise your significant other; show that you care; be romantic; be creative; be spontaneous; be entertaining; do something that is both fun and healthy; do something you can both enjoy; let a couples massage in Provo be your perfect date. If you’ve never had a massage in Provo, please feel free to contact us with any questions you may have. We look forward to serving you soon. Call today to schedule an appointment and consider making massage with a Provo massage therapist a regular part of your health maintenance plan.